If you find yourself often putting up posters but they either get taken or just fall off. BannersOnline highly recommends you get some strong snapper frames to house your, need to be read, message. 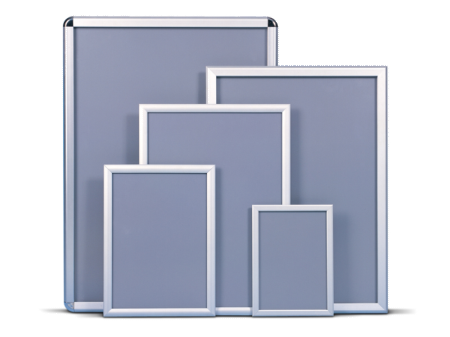 Snapper frames come in variety of sizes to house posters with a size A0, A1, A2, A3, A4. Our snapper frames include a clear plastic sheet which gets placed on top of the poster when putting it in. This plastic sheet helps protect the poster. To secure you frame to the wall all you need is a drill and maybe a level if that is important to you. We even know of some clients who just stick them on the wall with double sided tape because the snapper frames are fairly light however we do recommend the good old fashioned way if you are allowed to make holes in the wall. Often used in malls, bathroom advertising and pretty much everywhere they are needed.